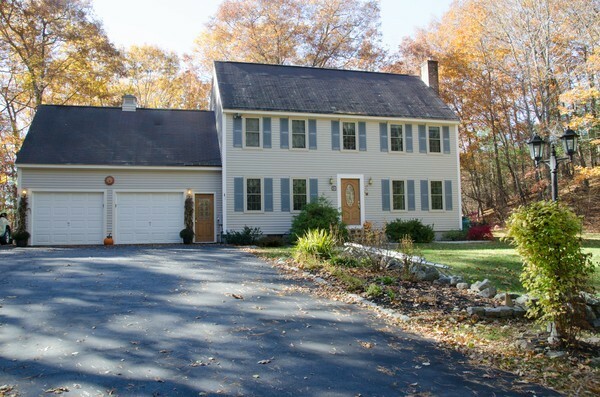 TOPSFIELD, BOXFORD LINE WITH EASY ACCESS TO MAJOR HIGHWAYS. Beautiful setting in this Boxford home with over 2 acres of picturesque grounds. This lovely home has been well maintained with an renovated kitchen and breakfast nook overlooking private back yard. Great room offers plenty of room for the family gatherings. Living room and dining room are not only large but offer gleaming hardwood floors with loads of windows. Master bedroom has a walk in closet, and bath. 3 Addition bedrooms add to space to this home. Need more space? Expand in the 3rd floor walk up attic or huge basement which contains space for a work room. Two car garage, with plenty of room for even more storage. Newer windows, central air, heating system and hot water tank adds to the many extras this home has to offer. This home offers it all. Portions Copyright © 2019 Blaze Johnson. Portions Copyright © 2001-2019 iMaxWebSolutions.com.